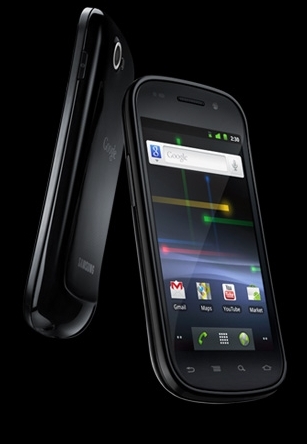 The Nexus S is Google's latest mobile. It is the first to run Google's new OS, Android 2.3 Gingerbread. Featuring the gorgeous Contour display with curved glass screen, this phone has a 4.0" WVGA (480x800), Super AMOLED touch screen with anti-fingerprint coating. H.264, H.263 MPEG4 video recording. They have packed in loads of stuff in the phone including a Three-axis gyroscope, Accelerometer, Digital compass, Proximity sensor and Light sensor. However, what I was really concerned about was the battery life. Well, according to Google, the phone has a Talk time up to 6.7 hours on 3G (14 hours on 2G) and a Standby time up to 17.8 days on 3G (29.7 days on 2G). That's quite amazing if it's true. No such luck. I would love to get my hands on it but I am still on a contract and a sim free one is out of my budget. I noticed that it is £549.95 (pre-order) at the Carphone warehouse. I've heard that there are great things afoot for the Nexus S and its successors - namely the scan feature which could extend to scanning in for flights, in the supermarket etc. Apparently there's a lot of room for development to take it in this direction so it'll be VERY interesting to see how it develops within the next few years.